Whether you have been living with gaps in your smile for a long time now, or whether it’s a recent development, we believe dental implants could help you improve your quality of life. Here at Hertford Dental Implants, we can replace any number of missing teeth with dental implants. In Hertfordshire, we can provide single crowns, bridges or even secure dentures with dental implants. Tooth loss can be a traumatic experience, but we believe we can help you get back to the way things were before you lost teeth. With our help, you’ll be smiling again in no time. Dental implants are basically an artificial tooth root that can support a range of different tooth replacement options. Which option suits you will depend on how many teeth you have lost. To have dental implants inserted, you’ll need to undergo a minor surgical procedure. During this procedure, a metal screw will be inserted into your jawbone. A small hole needs to be created first to give the implant a place to integrate with the jawbone. Once the implant is inserted, it needs some time to heal and integrate with the jawbone. Once this healing time is allowed, the implant will be able to support a false tooth, a bridge or dentures, and it can last for the rest of your life. You look after a dental implant much like a normal tooth, brushing at least twice a day, flossing and using anti-bacterial mouthwash will help to keep harmful bacteria at bay. There are lots of treatments that can replace teeth, but dental implants provide one of the most stable and permanent replacements. Dental implants work with the body’s natural function, so the body accepts them as natural teeth, providing your jaw and gums with the stimulation they need to remain their natural, youthful shape. They look and function just like natural teeth just without the sensitivity that a natural tooth has. People won’t be able to tell you have had a false tooth inserted, they will just see a full set of teeth. For more information on dental implants in Hertfordshire, contact us for an appointment. This entry was posted in Dental Implants on 28th November, 2017 by Hertford Dental Care. If you have been so unfortunate as to have a tooth or two knocked out in an accident, then you may well be wondering how you are going to get through the next 50 years without them. Well, the good news is that you can replace them effectively with Hertford dental implants in Hertford. Being without even a couple of teeth can greatly affect your speech, and your biting and chewing ability. If the teeth you lost were from the front of your mouth then your looks will also be affected, and with them, your self-esteem. However, if you replace your teeth with Hertford dental implants in Hertford, you can solve all of these problems in one fell swoop. The reason Hertford dental implants in Hertford are so great is that they replace the root of the tooth as well as the crown. Dentures and fixed bridges do not do this, and instead rely on other, not so good, ways to get their stability. Dentures require suction to the gum, which only gives about a quarter of the chewing power you get from your natural teeth. Bridges are secured to the healthy teeth on either side of the gap, and this means having to have them ground down so they can take the buttresses for the bridge. Dental implants are made of titanium, a metal that the body finds biocompatible, and, instead of rejecting it, it meshes with the surface of the metal, growing new bone tissue and blood vessels over it. It takes between two and six months for this process, known technically as osseointegration, to take place, by the end of which the dental implants are held in place as securely as natural teeth. At Hertford Dental Implants, we fit your implants in a minor surgical procedure that can be performed under local anaesthetic. If, however, you are at all anxious, it is possible to have implants fitted with sedation, either oral or intravenous. You will still be conscious, but you probably won’t remember much about the procedure afterwards. To find out more, give us a call and arrange for an initial consultation. This entry was posted in Dental Implants on 21st November, 2017 by Hertford Dental Care. If you have been living with dentures for a while, you may have noticed that they don’t fit like they used to and that you can no longer be sure that your false teeth will stay put. One solution is to get your dentures stabilised with Hertford dental implants in Hertford. At Hertford Dental Implants, denture stabilisation is a great halfway solution for those people who want teeth that do as they’re told, but can’t afford to get all their teeth replaced with dental implants. The trouble with dentures is that, although they start off fitting well to the gums, over time the gums recede and the jawbone beneath actually shrinks, losing up to 25% of its size in the first year after the teeth are gone. When the bone shrinks and the gums recede, there is less for the dentures to adhere to, and the dreaded wobble sets in. When you get your dentures stabilised with Hertford dental implants in Hertford, mini dental implants are inserted into the jawbone through the gum in a procedure that is much quicker than having normal dental implants inserted. The implants have a fitting on the top onto which you attach your dentures, rather like a press stud. This holds the dentures in place, giving you the freedom to eat all those yummy foods on the denture wearers’ prohibited list, like apples and steaks. At the end of the day, you still remove your dentures and give your gums a rest overnight as usual. You can get your current dentures customised to have the snap fastener fittings, or if you have had them for a while and they are getting rather worn, we can make you some new custom dentures that will look so like natural teeth that no one will know that these teeth are not your own. You can then once again smile with confidence. To find out if Hertford dental implants in Hertford can transform your dentures, ring up and book a consultation with us. We’d love to help you have teeth that look natural and behave themselves. This entry was posted in Dental Implants on 14th November, 2017 by Hertford Dental Care. The demand for alternative tooth replacement treatments has been growing in recent years. This is because people are finding better options when it comes to tooth replacement in Hertford. Hertford Dental Implants offer solutions for any number of missing teeth. In Hertford, dental implants can even support a patient’s existing dentures, fixing them firmly in place and boosting their practicality. Many denture users have trouble with their dentures staying in place when eating, so this type of a treatment is a welcome improvement on traditional dentures. Your journey to a perfect smile starts with an initial consultation where you will discuss your needs and any concerns you may have. The next step is the planning of the treatment. The exact insertion angle of the dental implant needs to be precisely planned to give you the best outcome. A custom-made appliance will be crafted to fit your smile perfectly. Once everything is planned, a minor surgical procedure will take place. This procedure is carried out so that the implant can be fitted into your jaw. A small hole is created in your jawbone to allow the screw to be fitted and integrate with the bone, utilising your body’s natural healing process. Once your jawbone and implant have successfully integrated, a crown, bridge or other appliance can be fitted. 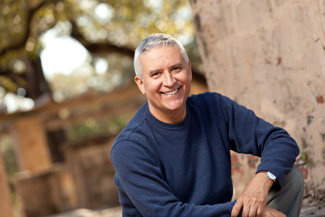 There are many advantages to Hertford dental implants. Not least is how long they last – patients can enjoy a lifetime with their dental implants. All you need to do to look after your dental implant is to treat it like one of your natural teeth. Brushing at least twice a day, flossing and using anti-bacterial mouthwash should keep your implant healthy. Dental implants also protect the rest of your natural teeth. This is because they provide the same type of stimulation that a tooth’s root provides for the jawbone. This stimulation is vital for the jawbone to stay in shape. It also helps the gums to stay healthy, supporting your natural teeth. Most people who have lost teeth can be eligible for implants. Even nervous patients can be catered for, with oral or intravenous sedation. This entry was posted in Dental Implants on 24th October, 2017 by Hertford Dental Care. If you are missing one, several or all of your natural teeth, dental implants are a viable and permanent option to replace them. Unlike conventional bridges and dentures, dental implants fuse with the jawbone and provide a healthy, realistic and comfortable solution to tooth loss. At Hertford Dental Implants, dental implants are our treatment of choice for tooth loss. Our experienced dentist, Dr Gordon Black, will examine your teeth thoroughly and help you decide whether Hertford dental implants in Hertfordshire are the right treatment for you. We offer many options including single tooth replacement, multiple teeth replacement and all teeth replacement. Dental implants are small, titanium posts that are surgically placed into the jawbone. Titanium has the ability to fuse with the jawbone, creating a sturdy foundation around the dental implants, where replacement teeth can be supported. Success rates for dental implants are very high, when proper case selection is used. Dental implant treatment represents a slightly greater investment than regular bridges and dentures; however, the benefits of implant treatment for most patients outweigh the minor additional cost involved. The best solution to filling an unwanted gap in your smile is to opt for a single tooth implant. A simple and efficient process, single tooth replacement can be completed in a few months and your new crown will blend in with the rest of your teeth for a natural look. Multiple missing teeth can also be easily replaced with dental implants, regardless of their position in your mouth. Multiple dental implants can be treated with individual crowns or if possible, fixed bridges and partial dentures. The process for replacing all teeth may sound scary but in fact, it is just as comfortable as replacing a single tooth. Your dentist will suggest overdentures, which are easy to install, very affordable and provide a natural and permanent result. There are a number of reasons to consider dental implants over other forms of tooth replacement. 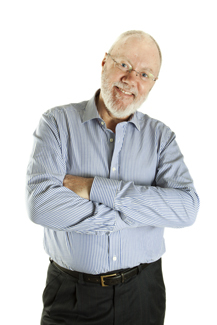 To learn more about Hertford dental implants in Hertfordshire, contact our friendly team today. This entry was posted in Dental Implants on 17th October, 2017 by Hertford Dental Care. Luckily, with dental implants in Hertford, you can replace any number of missing teeth with a reliable and long-lasting solution. Dental implants are the preferred treatment for tooth loss because they work with your body in a similar way to a natural tooth. At Hertford Dental Implants we offer services for nervous patients, so there’s no need to be put off if you get anxious visiting the dentist. We offer a choice between oral and intravenous sedation. We want getting dental implants in Hertford to be as relaxing as possible for you. We will urge patients to seek assistance as soon as possible when it comes to tooth loss. This is because, when a tooth is lost, the rest of your teeth are left open to further damage. Our jawbones need stimulation to remain stable and in shape. This stimulation is usually provided by the root of the tooth. When the tooth is lost along with the root, the stimulation stops. This lack of stimulation can cause the jawbone to recede, along with the gums. This causes problems for the surrounding teeth, as they will begin to shift into the space left by the missing tooth. Dental implant treatment requires a minor surgical procedure. During this procedure, a small hole will be created in your jawbone to allow a screw to be inserted. The screw is made from a material that your body will accept and integrate with, creating a stable anchor for a crown, bridge or other appliance to be applied. 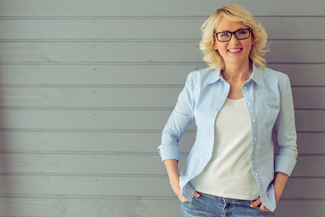 Implants can provide the same functionality as a natural tooth and give you your confidence back, so why wait any longer to consider dental implants in Hertford? This entry was posted in Dental Implants on 10th October, 2017 by Hertford Dental Care. Are there gaps in your smile? How would it feel to like how you look and be able to smile spontaneously? Imagine being able to eat your favourite foods no matter how chewy, crunchy or gloopy? If being able to do these things are distant memories, then you may be suffering with the discomfort, inconvenience or unsightly appearance of missing teeth. Losing your teeth diminishes the beauty of your smile. It also affects the shape of your face, as there is nothing to support your cheeks and lips from the inside. Any remaining teeth may also become unstable, as they can tip or drift out of position. At Hertford Dental Implants, we have seen how many people have benefitted from having dental implants in Hertford. Dental implants are small metal screws that are inserted into the jaw during a minor surgical procedure. This is carried out under local anaesthetic, so is normally comfortable. As the jawbone heals over a period of approximately 2-6 months, the bone cells and blood vessels mesh around the implants to hold them firmly in place. When the implants are secure, they are used as a base for a single replacement tooth, a bridge of several teeth or a full set. We can even deal with complex cases where the bone density of the jaw is insufficient to support the implants. Sinus lifts and bone grafts can be used to add bone density and can make all the difference if you have been told that you cannot have implants. For our patients in Hertford, dental implants should last several decades. When you have dental implants in Hertford, you are choosing a secure, permanent solution that avoids the need for removeable appliances that can restrict your diet, be unstable and need to be removed for cleaning. 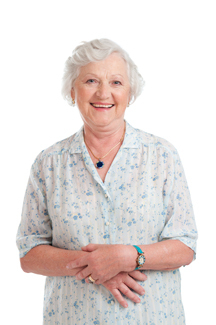 For people in Hertford, dental implants have allowed them to live life to the full again. Another major advantage is that implants stimulate the bones of the jaw in the same way as natural teeth when you bite and chew. This stops the bone and gums shrinking, which is what happens with gaps, bridges and dentrues. Join our many satisfied patients in Hertford. Dental implants could give you something to smile about and a healthier future. This entry was posted in Dental Implants on 26th September, 2017 by Hertford Dental Care. If you have ever had to wear a mouth guard, maybe for sports or to stop yourself from grinding your teeth at night, you will know how hard it is to form your words clearly, and that drinking and eating with any decorum are pretty much impossible. That gives you an idea of how hard it can be to learn to eat, drink, and speak with dentures in. At Hertford Dental Implants, nothing makes our day more than fitting a former denture wearer with dental implants in Hertford, and seeing how happy they are to once again be able to eat what they like, and form words without whistles, clicks and lisps getting in the way of being understood. Dental implants in Hertford literally do transform lives; it’s no wonder they are fast becoming most people’s first choice for replacing teeth. The secret of the success of dental implants in Hertford is simple: they are the only method of tooth restoration that replaces the root of the tooth as well as the crown. The crowns are attached to an anchor in the jawbone that is as secure as the original tooth root. Dental implants achieve this secure footing by being made of titanium, a metal that is very light and very strong, and, for some reason, welcomed like an old friend by the body. Instead of the immune system rejecting titanium as foreign material and trying to expel it, the bone tissue is spurred into growth and new bone cells, nerves, and blood vessels mesh with the titanium to hold it firmly in place. This little miracle was discovered by a Swedish scientist in the 1950s. It takes a good few weeks for what is now called osseointegration to take place, but once it has, your dental implant will stay in your jawbone for the rest of your life, provided you take care of your implants and don’t let the plaque that causes gum disease build up. Gum disease can attack the bone, and then teeth, and implants, can become loose, and fall out. But all you need to do to avoid this is brush and floss with care and get regular dental check-ups. This entry was posted in Dental Implants on 19th September, 2017 by Hertford Dental Care. Patients who have been wearing dentures due to significant tooth loss, often find that their dentures tend to become loose and uncomfortable over time. Dentures might make eating food difficult, or feel bulky in your mouth. And although modern dentures are more lightweight than they used to be, over time bone is lost from the jaw, which can cause well-fitting dentures to become loose. At Hertford Dental Implants, we recommend dental implants for denture wearers because they provide unrivalled levels of support, plus they are permanent. And if you think that paying for them will break the bank, you are mistaken. Hertford dental implants can be used to stabilise dentures and virtually eliminate many of the problems associated with complete tooth loss at a fraction of the cost. This is because unlike traditional implants, denture stabilisation requires only four dental implants, which are strategically placed into the jawbone. At Hertford Dental Implants, we use mini dental implants, which are smaller and narrower than conventional dental implants, to stabilise dentures into the jaw. Our experienced dentists surgically insert them into the jawbone in an almost painless procedure that requires no cutting or suturing. Moreover, unlike traditional dental implants, mini implants do not require any healing time – they can be loaded with dentures immediately after the procedure. Our dentists will retrofit your existing dentures with snaps or create new dentures fitted with snap-on mechanisms. The mini dental implants have a ball on the end that fits perfectly into the socket of the snap-on mechanism. This way, your dentures will fit comfortably and will not move when you bite, speak or eat. Snap-on dentures are so comfortable, that they can even be slept in. However, it is advised to clean them regularly, just like natural teeth. In some cases, you can also have your dentures permanently stabilised in your mouth. Interested in stabilising your dentures with Hertford dental implants, but you don’t know where to start? Our dentists at Hertford Dental Implants have placed many dental implants over the years and have extensive training in denture stabilisation, as well as advanced training in implant dentistry and full-mouth reconstruction. Contact us today to book your appointment. This entry was posted in Dental Implants on 12th September, 2017 by Hertford Dental Care. When you choose dental implants in Hertford, you’ll regain your natural dental function, improve the appearance of your smile, and protect your face’s underlying bone structure. Whether you want to replace a single missing tooth, several teeth you’ve lost at different times, or a whole set of teeth, Hertford Dental Implants will give you a solution that brings long-lasting health benefits. The way your dental implants in Hertford work means they bring a variety of oral health improvements beyond those provided by removable dentures. Implants maintain the natural strength of the jawbone, reducing the chances of damage or injury and keeping your face looking firm, free of the sunken look that can make denture-wearers appear prematurely aged. They reduce the risk of tooth decay and gum disease. Because they permanently fill in the gaps in your teeth, there’s less space for harmful food debris to hide in and provide food for the bacteria that cause decay. Implants are easy to clean. You brush them the same way you brush your natural teeth. Although they can’t decay, plaque building up on them can lead to gum disease. Their secure fit and natural feel can make certain words and phrases easier to pronounce. The process happens in several stages. Firstly, our friendly dental professionals will discuss your oral health and make sure you’re ready for your dental implants in Hertford. By taking detailed images of your teeth, we can make a precise treatment plan, keeping the process efficient and effective. Then comes the implant procedure, in which small titanium posts are placed into your jawbone. These posts sit in the gaps where the roots of your missing teeth used to be. Over the next few weeks, the titanium of the implants stimulates the bone to grow new tissue which meshes with the implant, holding it securely in place for eating. Once this process is completed, you will then return to our practice, to have the replacement teeth securely attached to the posts. The crowns are hand-made from porcelain matched with your own teeth in colour, shape and size, so that the implants will be indistinguishable. This entry was posted in Dental Implants on 29th August, 2017 by Hertford Dental Care. Copyright © Hertford Dental Care. All rights reserved.